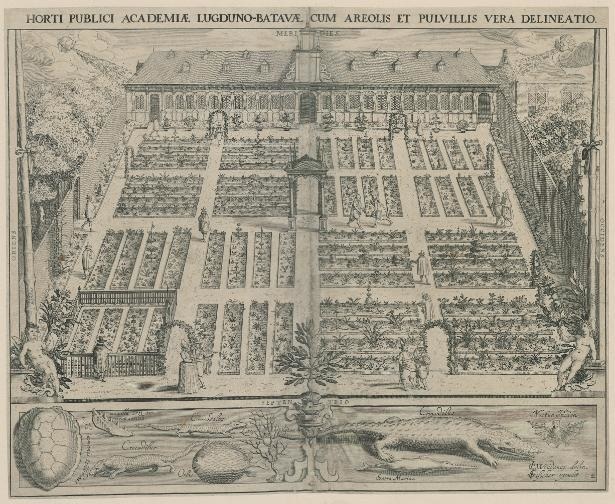 Image (above): This is a reproduction of the botanical garden of Carolus Linnaeus from a contemporary engraving. 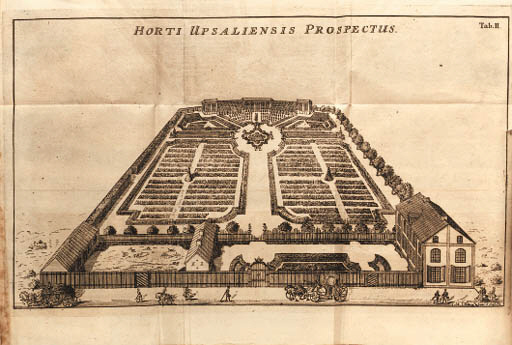 In the 1920s, the garden was restored according to Linnaeus' original specifications. It's now also a museum of 18th century botany. ​PLANTCOL: Belgian Living Plant Collections​ - Belgium has a rich tradition in both botany and horticulture. In an area little over 30,000 km, there is an enormous density of botanic gardens, arboreta and private plant collections, each with their unique identity, profiles and specialisations. 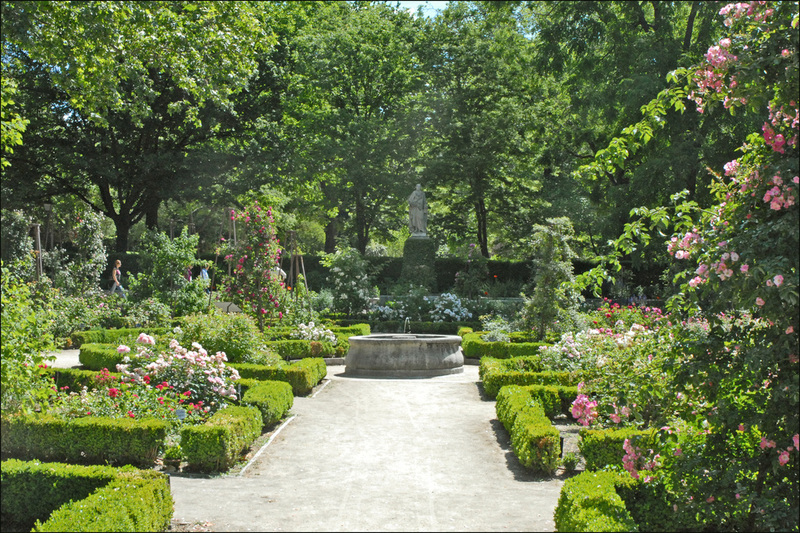 Parks and gardens in France : French gardens and French Parks which you can visit, discover a French garden by department or area on map. The original ​was created in Paris in 1635 by by King Louis XIII's physician Guy de La Brosse. 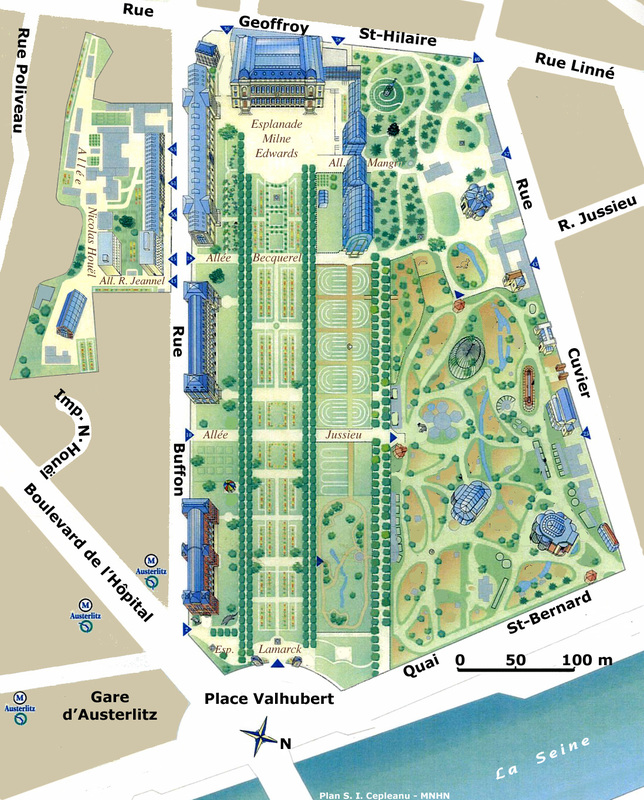 ​It was renamed the Jardin des Plantes but remains on its original site covering 28 hectares (68 acres). It's the main botanical garden in Paris. The new Botanical Gallery contains the Herbarium and the Library. There are also a number of other Natural History Galleries on the same site. There's been a lot of development since 1990. Verband Botanischer Garten e.V. 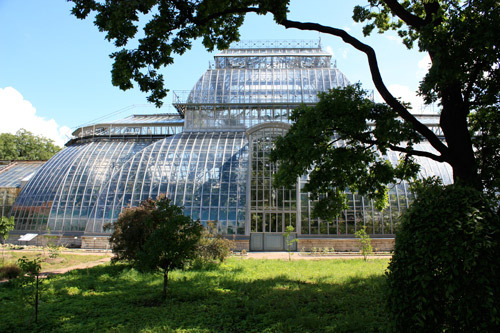 / Association of Botanical Gardens (in Germany) - ​(Use Chrome to do an automatic translation) The botanical gardens in Germany cultivate a fifth of the world's known flowering plants in their collections documented, maintain conservation of rare plants and cultures cooperate in conservation. 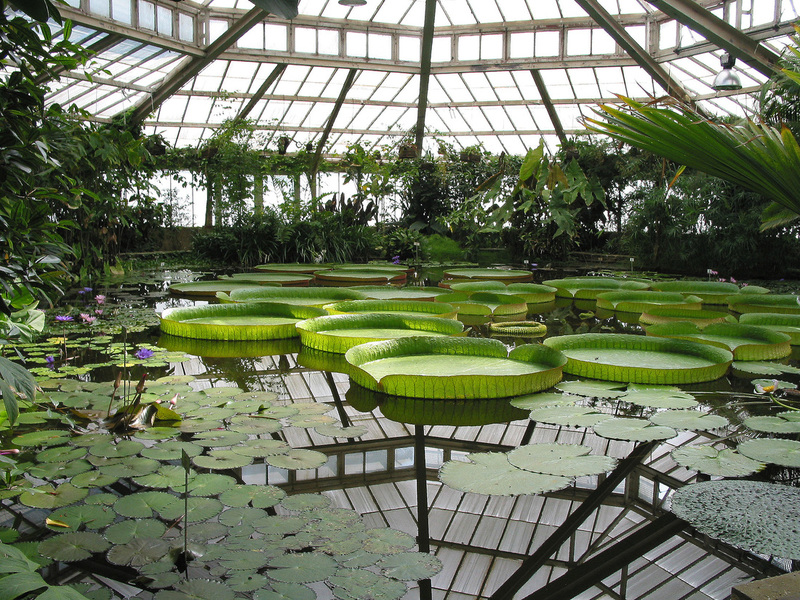 ​- One of the largest botanical gardens in the world,. It has 20,000 different species of plants on 43 hectares. 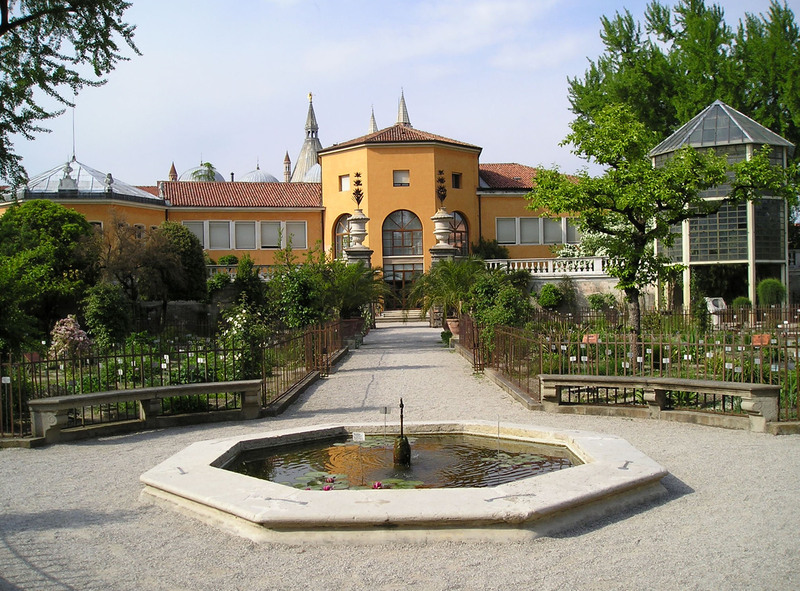 Originally developed by the Great Elector Friedrich as a model agricultural garden. In 1891 the Rpyal Herbarium was developed. In 1879 a Botanical Museum was created to house and promote research on the continuously growing collection. "Palmhouse" at "Palmengarten" in Frankfurt am Main. 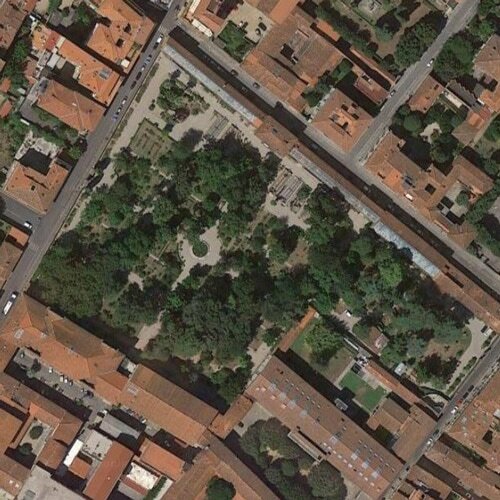 There are over 100 Botanic Gardens (Orto Botanico) in Italy including the world's first university botanical garden created in 1545 and some of the other oldest botanic gardens in Europe. A few are highlighted below. Wikipedia provides a List of botanical gardens in Italy. Otherwise known as herb gardens, specialised medicinal gardens have been created at least since the Middle Ages, especially in monastery courtyards. During the European Renaissance, with the advance of medical and botanical sciences, monastic herb gardens developed into botanic gardens. Thus, the original function of these gardens was to display plants for medicinal use. The section where herbs were grown became the “Garden of Simples”, a 'simple' being an herb used on its own in medical treatment. Listed as a UNESCO World Heritage site (see video below) because of its claim to be the oldest academic botanical garden - associated with a university - in the world. Founded in 1545 for the cultivation of medicinal plants (simple herbs) and in continuous use for ever since. However, it has relocated twice. It has only occupied its current, and now-permanent, location since 1591. 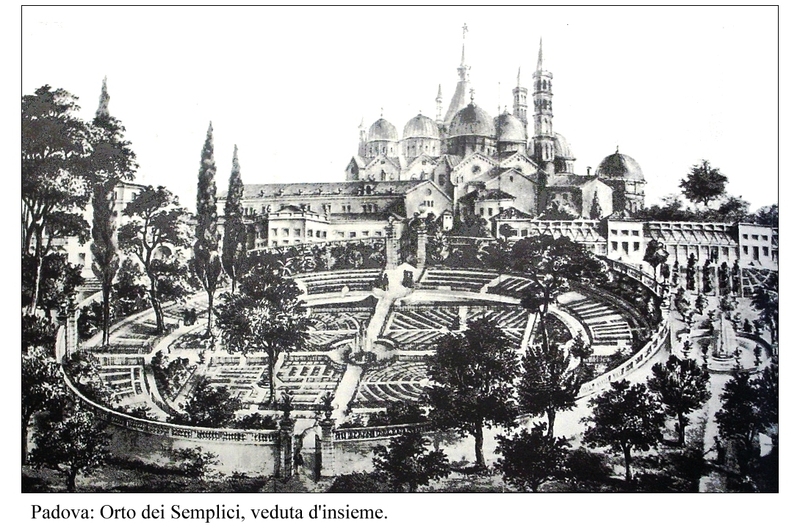 Also known as Garden of the Simples (Orto dei Semplici). 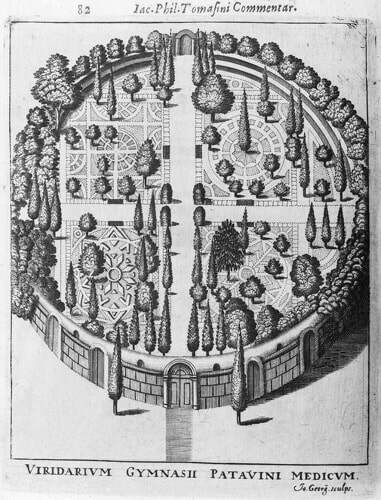 A circular wall was built to enclose the garden and protect the theft of the plants. Its original layout is preserved – a circular central plot, symbolising the world, surrounded by a ring of water. Its herbarium is the second most extensive in Italy. Its Library contains more than 50,000 volumes and manuscripts of historical and bibliographic importance. Its plant collections includes one devoted to medicinal and poisonous plants. 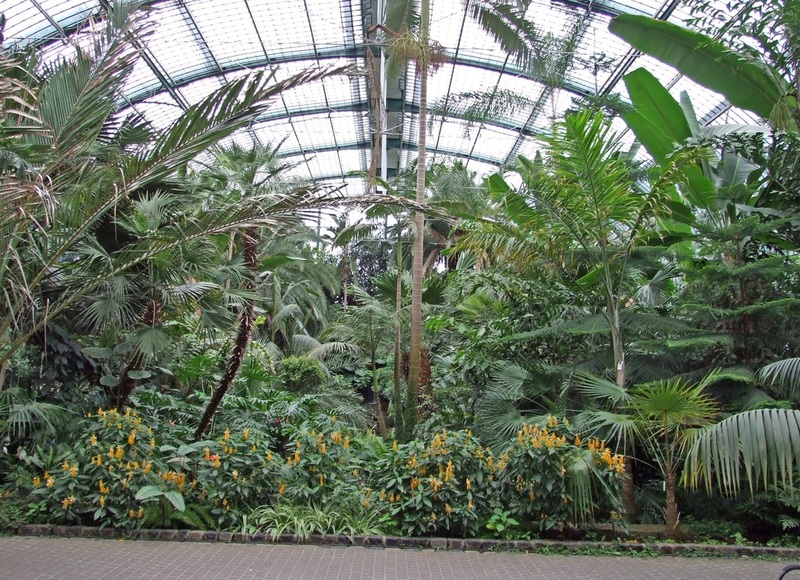 The oldest plant is a palm planted in 1585 called the "Goethe palm" - which has its own greenhouse. L'Orto Botanico di Padova - the oldest botanical garden in the world. 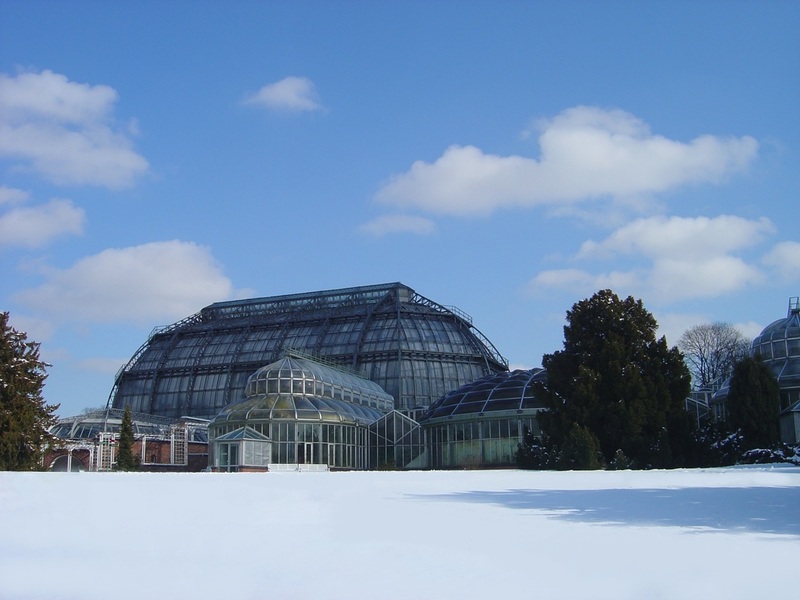 The Goethe Palm greenhouse can be seen on the right. ​Founded in 1st December 1545, the garden is the third oldest botanical garden in Europe and covers more than two hectares (and was the thirld largest in the world in ancient times). 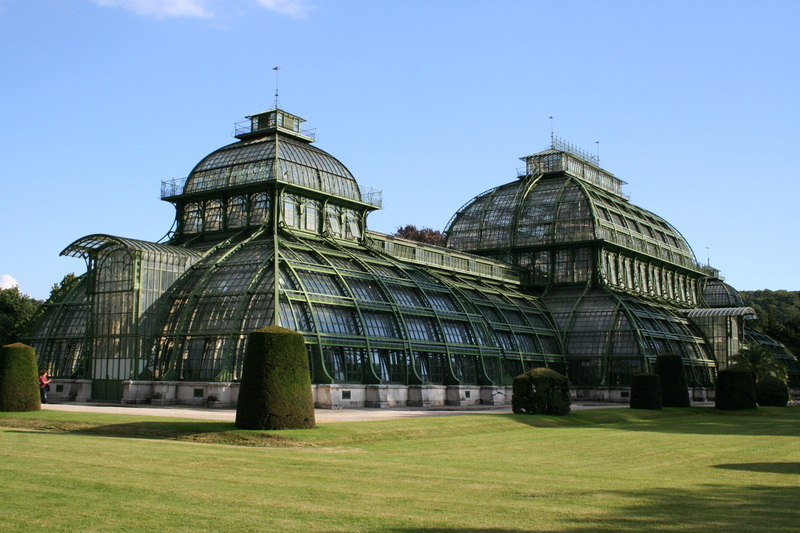 The hot and cold greenhouses containing tropical and subtropical plants were built in the 19th century and are the largest in Italy (162metres in length). Giardini Botanici Hanbury - pavilion. ​Hortus Botanicus Amsterdam plus the Facebook Page for Hortus Botanicus Amsterdam. 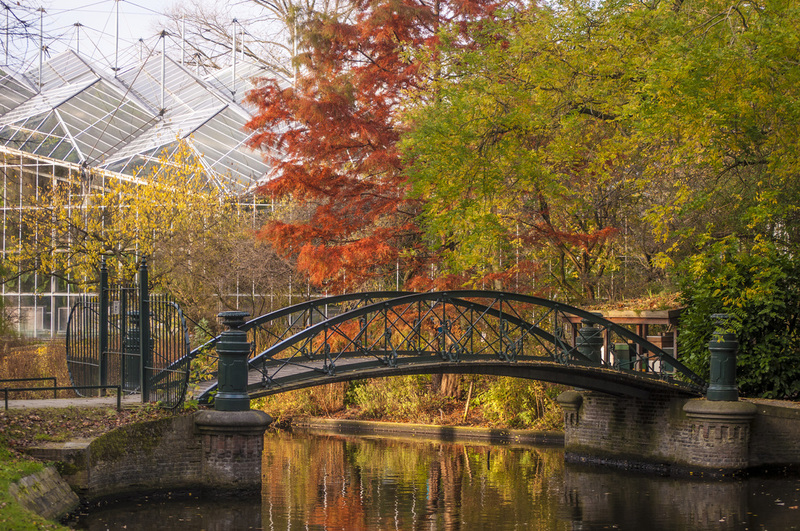 One of the oldest botanical gardens in the world, it is located in the middle of Ansterdam. ​Nasjonalt nettverk for botanist hager - National Network of Botanical Gardens is an informal collaboration between botanical gardens and arboretum in Norway. 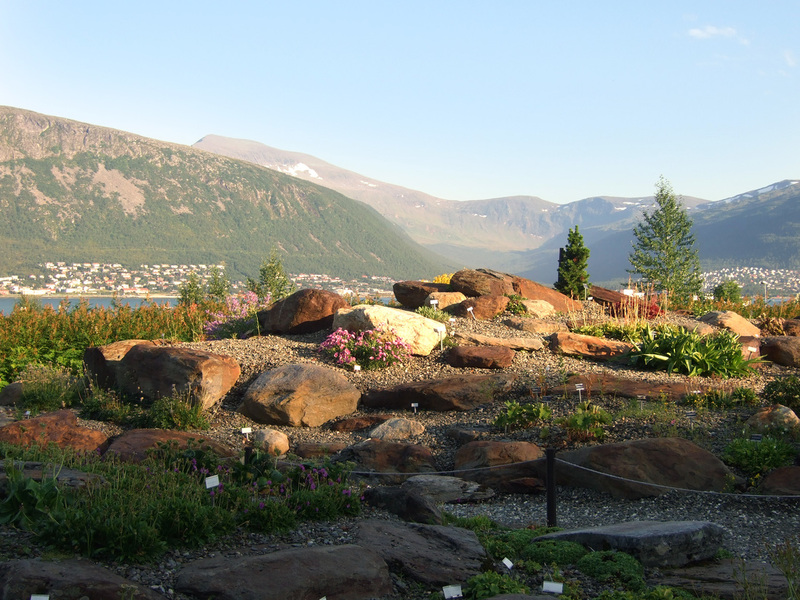 The network aims to strengthen the botanical gardens and arboreta in Norway. The Arboretum and Botanical garden, Milde, University of Bergen - Blondehuset Historical Garden has 5000 plant taxa from all over the World and Norway's largest collection of Roses in Norway and Rhododendron collection in Scandinavia. ​The Stavanger Botanic Garden and Rogaland Arboretum - established in 1978; includes 12.9 hectares of garden and parkland. Geographic Garden, Herb Garden and Perennial garden. ​The Real Jardin Botanico in Madrid - Founded on October 17, 1755, by King Ferdinand VI. Today it has seven major outdoor sections and five greenhouses. In total there are 90,000 different plants and flowers, and 1,500 trees. It also contains a substantial herbarium. ​The Linnaeus Garden The Linnaeus Garden was the first botanical garden in Sweden founded in 1655 by Olof Rudbeck the elder. 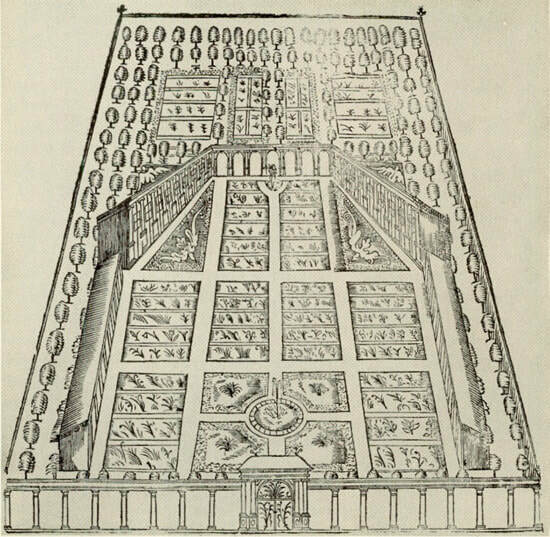 It is laid out in the French Style and restored following Linnaeus' and Carl Hårleman's design from 1745.